It’s a shame the Amazon Packer didn’t give a s*** about the products sold as my copy came in bent at the top AND bottom corner, (non spine), with a large crease across the middle. Remember how the books from Elementary School Libraries looked? Frayed Edges, and creased up? Yeah.. that’s the condition of this.. Definitely won’t be gifting this as originally planned. But I did skim through it to realize it was not worth the $30. 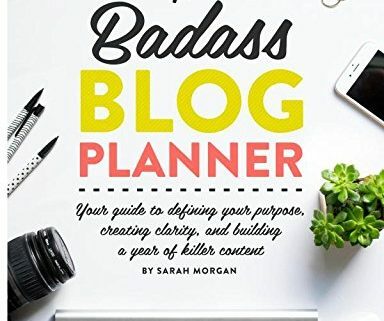 I also want to point out this is not a planner for a new blogger to plan content as perceived, it is in fact for already established bloggers, (unless you want to buy it for 6 pages). Pg. 12-27: Two Page Spread of the following platforms to record your most popular posts from the year past: Blog, Twitter, Facebook, Instagram, Pinterest, Youtube. VERY limited and specific. Pg. 28- 37: Static Pages review, Projects and Products summary, and then 6 pages to write about PAST content and “What Worked Well” and “What I would have done differently. 38-61: Recaps of: Advertising, Email Marketing, Partnerships and Sponsers in place/cost. 62-72: ACTUAL CONTENT PLANNING IS ONLY 9 PAGES! Content Planning: Spread of Short Term Goals, Spread of Long Term Goals, Spread of calendar for content, 2 pages, (front and back), and then a page devoted to quarters. This magazine sized, record keeper, (hardly a planner!) would have made great for a free E-Book for subscribing to the website! 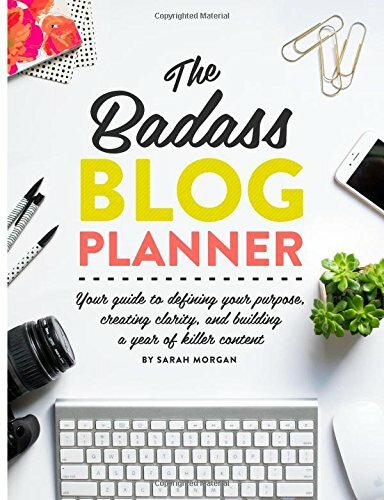 Definitely a waste of money for anyone looking for an actual useful Blog/Business planner!